CHICAGO (WLS) -- The Ñ Beat is an Emmy award-winning half-hour show that turns the spotlight on Chicago's vibrant Latino community! 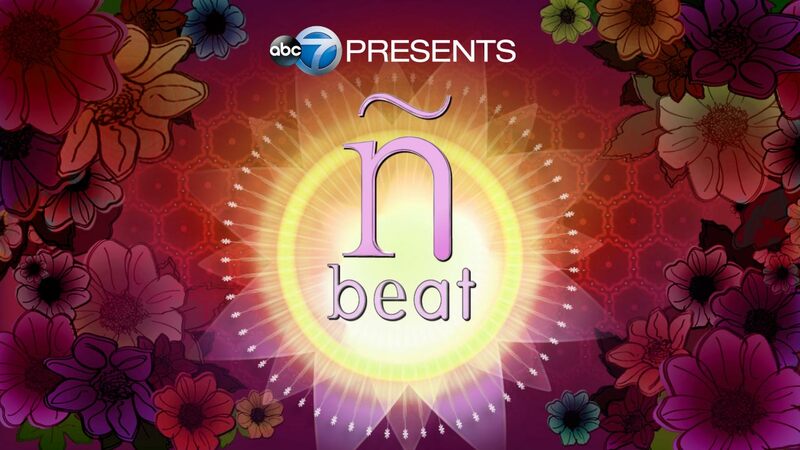 ABC7 Chicago brought you another episode of The Ñ Beat on Monday, October 15, 2018. On this episode, meet a local actor who landed a part in the Broadway blockbuster "Hamilton" and then used that high-profile platform to help hurricane-ravaged Puerto Rico. Also, hear the sounds, see the sights and taste the cuisine of Argentina when you visit a new nightspot in Lincoln Square. See how a group of talented Chicago musicians is helping to preserve the lost art of Mariachi music and meet an impassioned young journalist who is making a name for himself with photos of his beloved Pilsen neighborhood. ABC7's Stacey Baca hosts the show from Artango Bar and Steakhouse. Correspondents include Roz Varon, Tanja Babich, John Garcia, Rob Elgas and Mark Rivera. When Joliet native Jose Ramos would commute to the Chicago Academy for the Arts, he'd pass the theaters in downtown Chicago and dream of performing there one day. Ramos got his wish in none other than the Chicago production of "Hamilton" when he landed the part of Phillip Hamilton/John Laurens. One year into the show's run in Chicago, Hurricane Maria barreled through his parents' Puerto Rican homeland. Ramos wasted no time pulling together a massive benefit concert for Puerto Rican hurricane relief that raised $20,000. Now, he is launching his own solo career as Jose Maxi Ramos. Recently, Ramos paid a return visit to his alma mater and met with a class of new theater students, to impart his advice to the aspiring performers. Click here for more information about "Hamilton"
Sebastian Casanova was born and raised in Buenos Aires, Argentina. He went on to meet his wife, Maria, at a Tango class in Chicago. Now, the couple showcases their favorite music, dance and food at Artango Bar and Steakhouse in the Lincoln Square neighborhood. On many weekend nights, guests can experience live music and/or dance from Sebastian's homeland. Artango even offers dance classes. This dinner locale serves lots of classic Argentinian specialties such as empanadas, paella and Ceviche with a big emphasis on meats like their asado argentino, a collection of flank steaks, braised short ribs and chorizo. He may only be 23 years old, but that hasn't stopped the accolades from coming for Chicago photojournalist, Sebastian Hidalgo. When he noticed the troubling gentrification trend taking hold in his native Pilsen neighborhood, he picked up his camera to document it. That project became 'The Quietest Form of Displacement in a Barrio'. Last year, his talents earned him a fellowship with the media incubator, City Bureau. Some of Hidalgo's images can now be seen in the current exhibition of 'Peeling off the Grey' at the National Museum of Mexican Art.. and his work recently earned him a spot on the New York Times' '12 emerging photographers you should know' list. Mariachi is the music of celebration in Mexico. It began hundreds of years ago and in an effort to preserve this art form, Alvaro Obregon launched Chicago Mariachi Project. He has programs both in Chicago schools and holds his Mariachi "academy" each Saturday. Chicago Mariachi Project takes the best musicians from age 8-18 and they perform and compete all over the country. In fact, you may have spotted them in a viral video, serenading a Southwest flight recently, on their way to a national competition in New Mexico. The tech industry is easily one of the fastest-growing around but sadly women still make up only a quarter of workers in high-tech jobs. When you are talking about "Latinas," that stat is an even more disconcerting number -- just 2 percent of the tech workforce. But Latina Girls Code has set out to change that with a variety of seminars and 6- and 12-week workshops. One of its longtime participants just wrapped up an impressive summer internship, where she redesigned the United Nations' website. Latina Girls Code was the brainchild of Blue 1647, a South Side tech incubator located in the heart of Pilsen. When it comes to outreach, not many organizations can boast of a longer history helping people than Gads Hill Center. Before the turn of the century, this special place started out as a settlement house, helping immigrants from many different countries to adjust to their new home in Chicago. The neighborhoods may have changed, but Gads Hill's mission has remained the same for more than 100 years -- to give children and families a chance to build a better life. They offer a wide array of family support services ranging from a child development center, after-school programs, college readiness programs and parent education services.